To view all of our wholesale sunglass display click here. •Filled with yellow color shiny beads & clear color base. • Height 19 in. x Width 6 in. 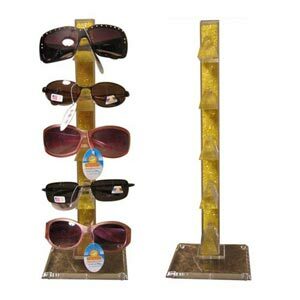 This is such a popular Sunglass Display because of the price and it is very practical fitting just about anywhere. To see all of our sunglass displays click here.